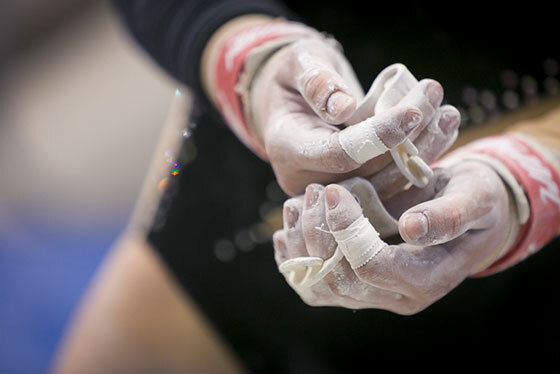 USADA announced today that Kristen Shaldybin, of Highwood, Illinois, an athlete in the sport of gymnastics, has tested positive for a prohibited substance, which was determined to have been ingested by her without fault or negligence. Shaldybin,18, tested positive for hydrochlorothiazide and its marker, 3‐chloroaniline‐4,6‐disulfonamide, as the result of an out-of-competition urine sample she provided on June 7, 2016. Hydrochlorothiazide is a Diuretic prohibited at all times under the USADA Protocol for Olympic and Paralympic Movement Testing, the United States Olympic Committee (“USOC”) National Anti-Doping Policies (“USOC NADP”), and the International Gymnastics Federation (“FIG”) Anti‐Doping Rules, all of which have adopted the World Anti-Doping Code (the “Code”) and the WADA Prohibited List. USADA reviewed all the evidence, including laboratory reports demonstrating very low parts per billion concentrations of the prohibited substance in the athlete’s urine sample. Together with the circumstances of ingestion and scientific evidence provided by published literature and expert reports, USADA concluded on a balance of probabilities that the athlete unknowingly ingested the hydrochlorothiazide through tap water obtained from the municipal water supply. As the prohibited substance originated in the municipal water supply, Shaldybin will not face a period of ineligibility or loss of results obtained on or subsequent to June 7, 2016, the day her sample was collected.